In 1958, a soft-spoken Muslim man, followed by a retinue of 10 people, walked into Hartford’s Smith-Worthington Saddlery Co. on Sigourney Street in Hartford. The man was dignified, projecting a charismatic air of authority that was underscored by his obvious wealth. As he spoke with saddle makers in the shop, the mysterious visitor complimented their work, calling it some of the most detailed he had ever seen. The man quietly met with the owner, Clinton Hanks, and placed an order for 12 custom-made saddles. And then—just as quickly as he appeared—the stranger and his retinue disappeared. Workers in the shop were perplexed but quickly started on the lucrative contract. A few weeks later, an official-looking letter arrived at the factory. Surprised, Hanks broke the letter’s seal, pulled out its contents, and took a moment to catch his breath. The visitor, this letter revealed, had been Mohammad Reza Pahlavi, the shah of Iran. He wrote that he’d heard about Smith-Worthington’s reputation for quality design and handmade craftsmanship and couldn’t think of any other saddle he would rather have on the horses of his court. Members of the US embassy urged Hanks to expedite the order. 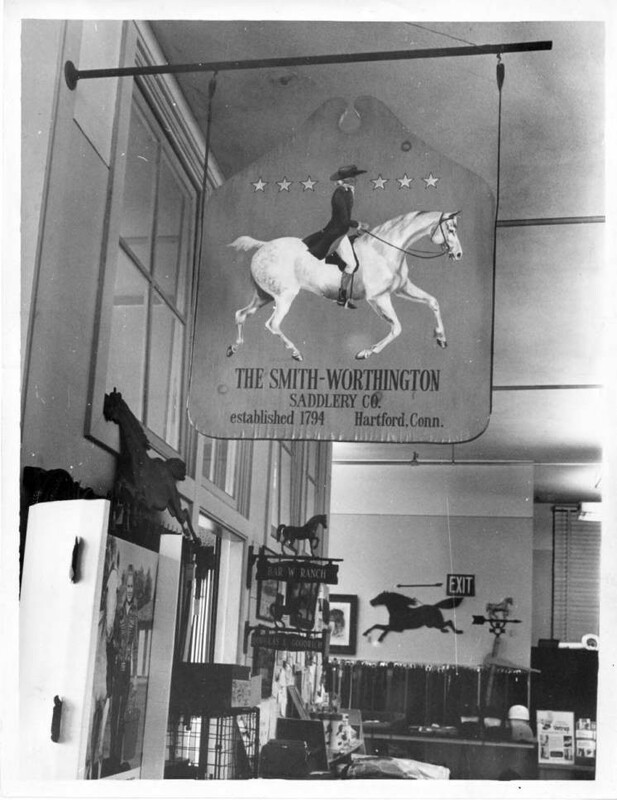 Founded in Hartford in 1794 by Normand Smith, Smith-Worthington Saddlery, makers of saddles and a wide range of related equipment (tack) for horseback riders, began as a modest operation but caught on quickly, in large part because Smith marketed many of his products to women—a segment of the riding population sorely under served at the time. In the 1830s, Smith opened a shop in New Orleans, and by 1842 the company opened a satellite facility in New York City. 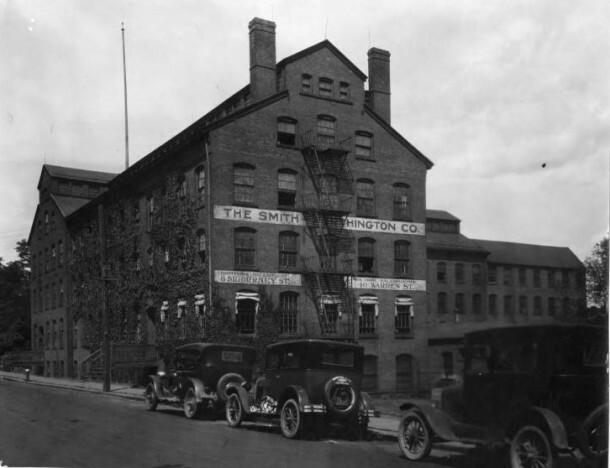 The company changed partners and names many times and finally became Smith-Worthington when the Hartford and New York concerns merged in 1905. Throughout the 20th century Smith-Worthington’s designers have been forced to innovate, adapt, and respond to unorthodox consumer requests. This versatility caught the attention of many new customers asking for new products. Antarctic explorer Richard E. Byrd used Smith-Worthington equipment to outfit his dogs during his expedition of 1928. NASA—through Connecticut-based Hamilton Standard—employed Smith-Worthington experts as leather-sewers on prototype space suits in the 1960s. The company’s master saddler and saddle foreman Nicholas Mitesser, who designed Shah Pahlavi’s saddles, also made saddles for entertainment icon Arthur Godfrey and President Theodore Roosevelt’s grandson, John Roosevelt. Yale University asked the company to produce a custom leather harness to hold an experimental pacemaker in place on a pig. Perhaps the strangest request came in 1991, when the US embassy in Abu Dhabi forwarded a request for camel shoes to be used in training events for the country’s multi-million-dollar camel races. © Connecticut Explored. All rights reserved. This article originally appeared in Connecticut Explored (formerly Hog River Journal) Vol. 9/ No. 1, Winter 2010/2011.